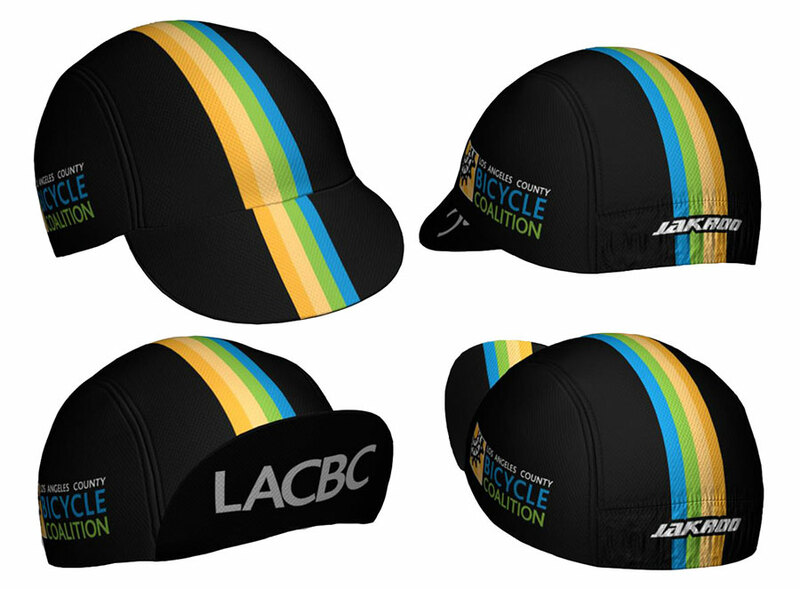 LACBC Team Kit for 2013 through 2014 (present). Dimensions: Cycling-specific clothing, dimensions variable. 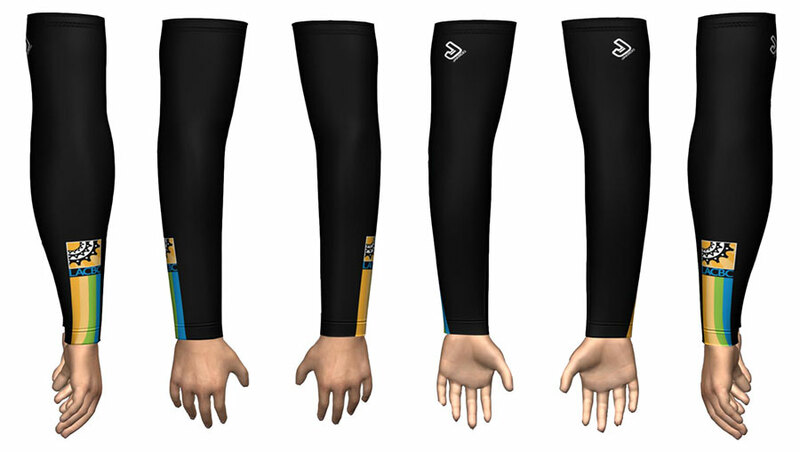 Variations: Jerseys, (bib) shorts, arm warmers, vests, knee warmers, hats. 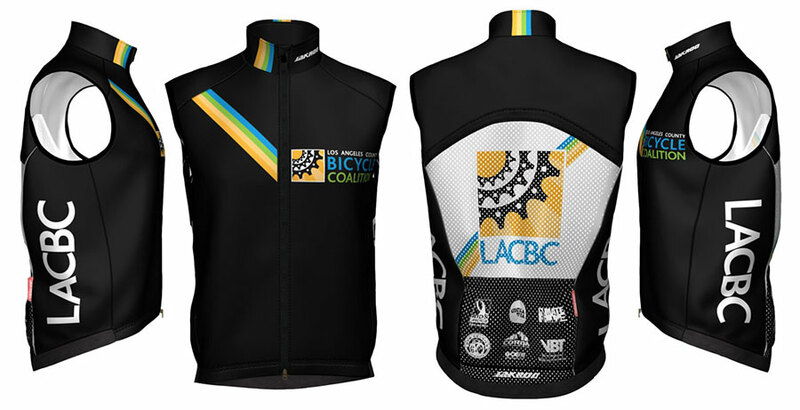 This is the latest version of the Team LACBC Kit, starting from 2013 through 2014 (present). 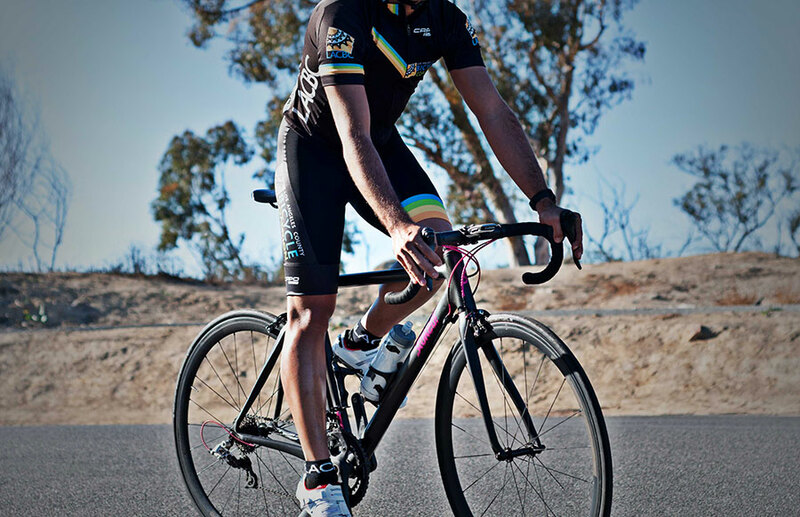 The stripes, which represent the colors of LACBC, carry through out the jersey, shorts, and all accessories in a uniform fashion with similar scale and dimension. 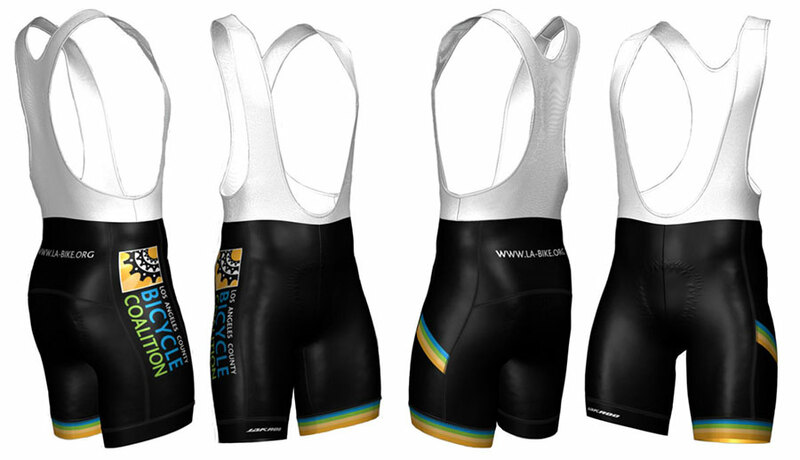 The back of the jersey features a strong, white panel background in order to help visibility in low light situations when approached from behind. The initial run of the kit was done through Capo clothes, and the vest featured a full black background design, creating a unique “reveal” effect when the vest is removed, showing the white back of the jersey. Due to logistical needs, pricing and sizing, the order was moved over to Jakroo from Spring of 2014 onwards. The design elements remained largely the same except for the vest, which now featured a white panel construction. Renderings of designs provided by Jakroo.